There are two major reasons to choose a laser multifunction printer over a much less expensive inkjet competitor: print output speed and quantity. You may not save money on CM2320’s hardware and/or supplies compared to a basic or mid-range inkjet multifunction unit, but you will save a huge amount of time, especially when printing many pages. Because your time is valuable, you will value this printer highly. HP’s Color LaserJet CM2320n Multifunction’s $600 price tag is respectable for this small-office-or-home-office (SOHO) printer/copier/scanner. It’s physically heavy, but light on stress during Macintosh installation and setup for either USB or network printing. Whether printing directly from a cable or wirelessly over a network, “first print” times are a good to very good 20 – 30 seconds, and successive print times are remarkable: two seconds! Written instructions are minimal, and a comprehensive PDF manual is available from the company’s web site. Print it out, and make extra copies of its most relevant pages. There are many hidden and less-obvious features and settings to understand that will make the user experience much more productive. 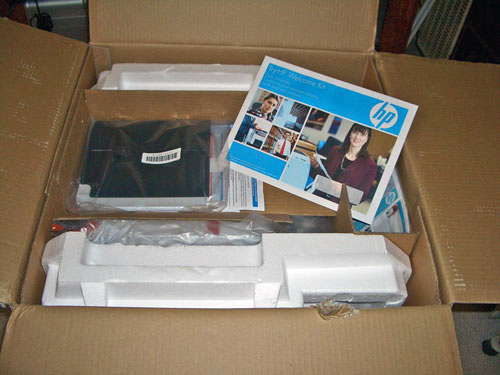 HP ships this unit with toner cartridges installed. That’s the good news. Toner levels are half full out of the box. That’s the bad news. The company justifies this sin of omission as valid for keeping the purchase price low relative to the marketplace. The deal is sweetened with a $100 cash back offer on the printer. 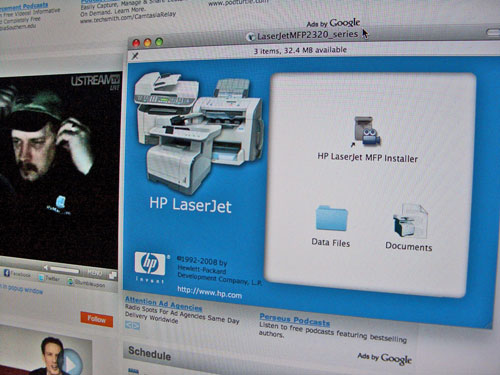 MyMac urges HP to give customers full toner cartridges. 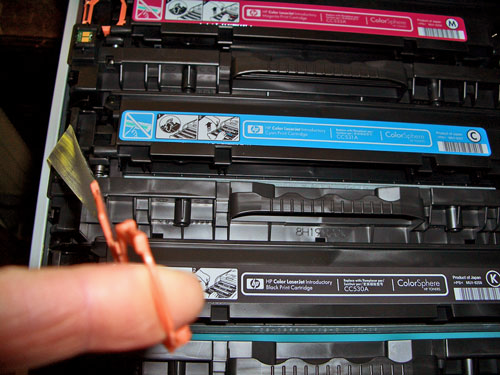 A complete replacement set of the four toner colors costs $120 each, or $480 total. Yikes. 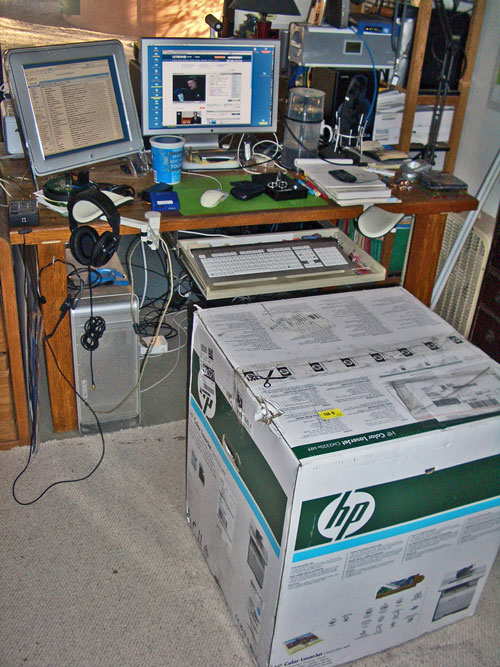 You can obtain a terrific wireless SOHO inkjet printer and a bathtub full of cartridges for around $1,000. 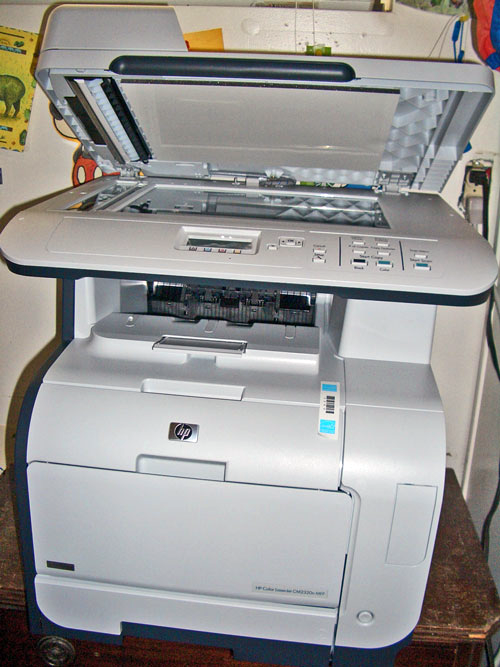 Why consider buying this CM2320 Multifunction Printer (MFP) at all? In a SOHO situation, you need your first print pronto, and your successive prints double pronto. This is where the new generation of HP Color LaserJets excel. Their prints are beautiful, and they appear quickly. Paper stock for laser toner printers keeps getting better, but glossy photo paper is still unavailable. Presentation and text documents are gorgeous in black and/or color from this MFP, and are equal or superior to similar prints from an inkjet MFP that prints much more slowly. 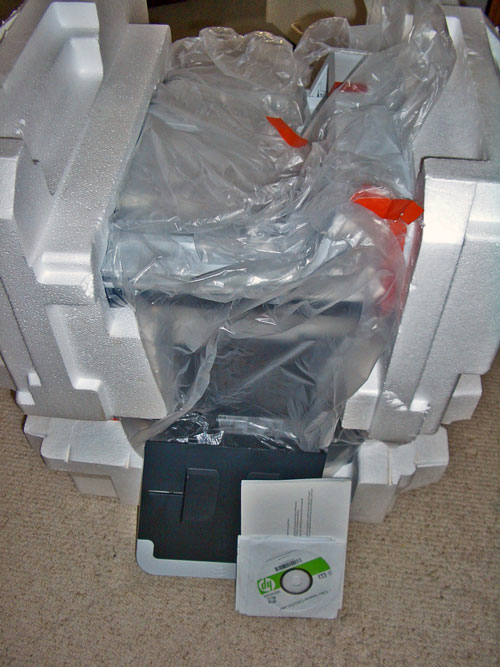 The installation CD provided in the carton should go straight into the dumpster. Instead, download the new installer from HP’s web site. MyMac gives this advice to purchasers of all HP gear. You have been advised. Color accuracy is potentially problematic when printing from Photoshop screen images. A color management utility is part of the software installation, but is beyond the scope of this review. Our Photoshop printing experience has required brightness tweaking due to dark prints from CM2320, using a full range of profiles. If your eyes are starting to glaze over thinking about digging through arcane settings, don’t worry. Most prints, most of the time, are splendid. Scanning and copying are so straightforward that it’s not necessary to review them in depth. 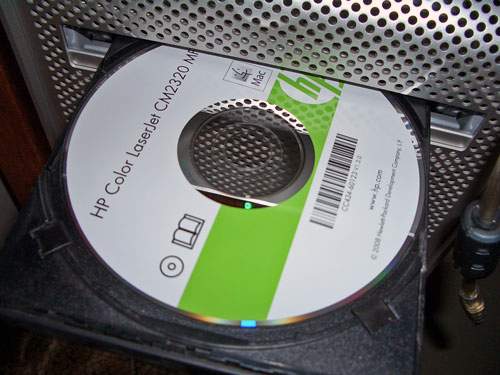 A standard HP Scan application is included in the software installation, and it operates similarly to all other scanners from this company, except it’s a lot faster! Ditto for the copier, which can handle both flatbed and sheet-fed originals. PROS are speedy, high-volume printing of most documents with exceptional quality; plus excellent copying and scanning included. 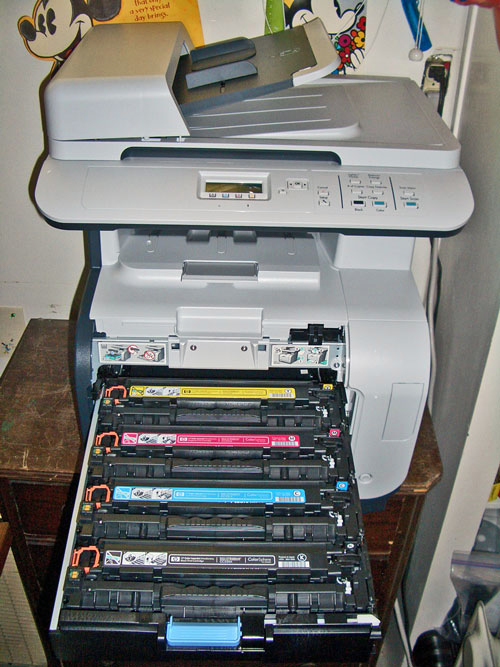 CONS are some color management issues, and half-full original laser toner cartridges. MyMac rating: strong 4 out of 5 recommendation for this terrific multifunction machine. FYI link to another review, with a bit more tech jargon.